Well, this Goa Tattoo Convention was very well organized by Martin and team hats off to you people for organising, managing and co-ordinating this huge event so well. 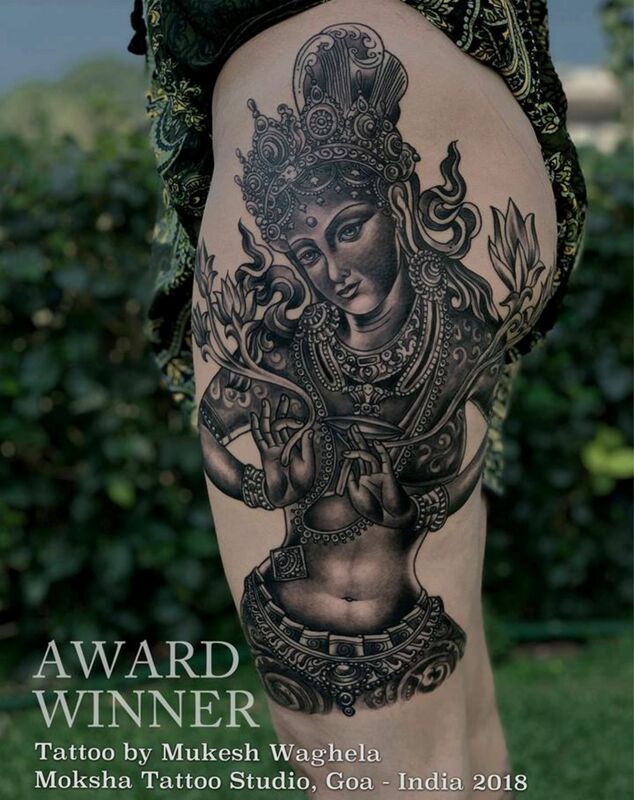 I won total 12 awards at the Goa tattoo festival 6 individual awards and 6 for the the team work collaboration tattoo with one of the finest tattoo artists in india Sir Sameer Patange from Krayoonz Tattoos and Sunny Bhanushali of Aliens Tattoos. It was one hell of an experience which cannot be put into words, the one which I enjoyed to the core. Thank you Martin for organising such a grand event! We had a great time! Hearty Congatulations to the award winners and all the paticipants.